I love teaching and would love to meet you, your guild, or group of friends. To learn more about my workshops or to inquire about my schedule, please fill out my contact me form. I look forward to meeting you. Let's quilt together! Charming Cathedral Windows (with Pre-cut Charm Packs (5"). Do you love to collect fabulous collections of pre-cuts? These Cathedral Window quilts are made completely by machine and are true quilts with batting and backing fabric. 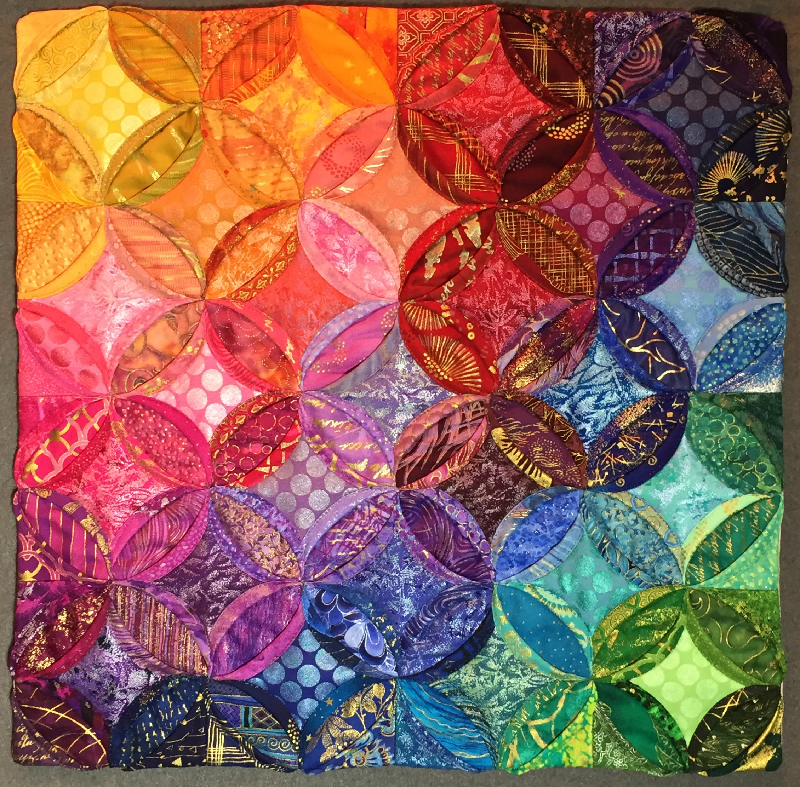 In this workshop we will look at how to make charming cathedral window quilts. 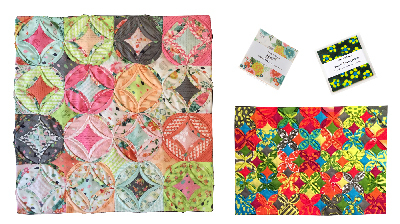 We will learn the basic technique for this fun block but also consider how to design your project with scale, finished size, and desired scrappiness. 3-hours. These projects can also be made with Jelly Rolls (2.5" strips). Graceful Trees. 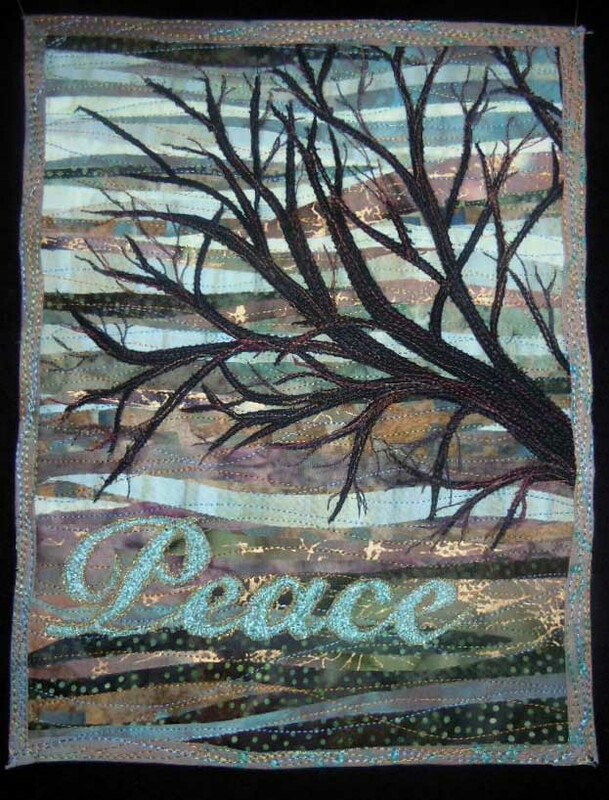 This half-day workshop teaches an easy technique, for quilters of all levels, to create a beautiful and graceful tree. Wonderful trees emerge in this layering, build-as-you-go, approach. Backgrounds of different colors lend themselves to creating landscapes of the seasons. Kit available for puchase at workshop. 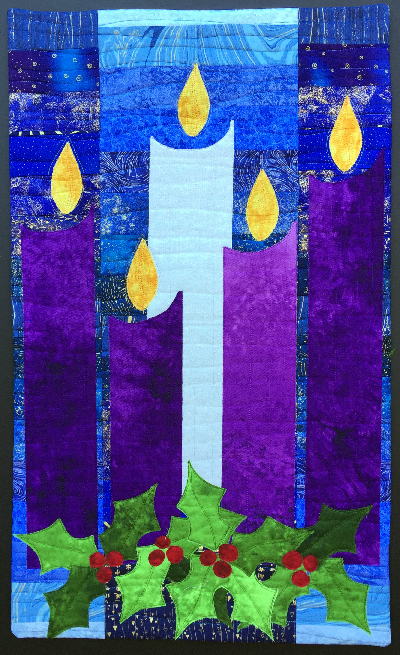 Advent Banner. 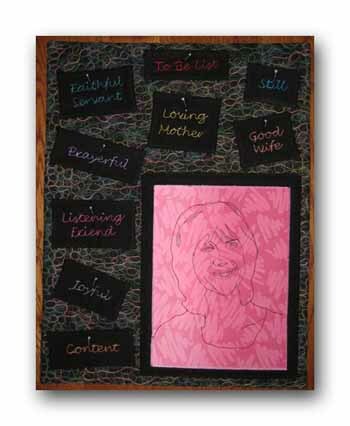 This 6-hour project oriented workshop gives students the pattern and instructions to make this project for their home or church. Students can choose to bring their own fabrics or purchase a kit. Lazy Landscape. 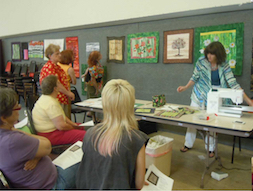 This workshop gives students a practical introduction to the art quilt based on my easy landscape method. 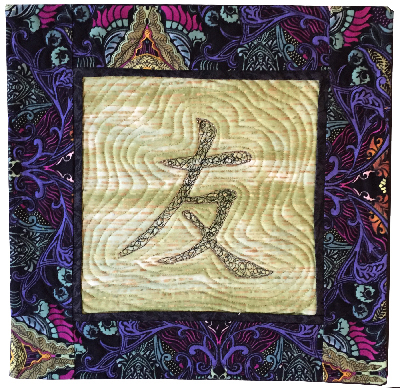 Students are exposed to a number of techniques including fusible raw-edge applique, machine quilting and free motion embroidery. This workshop is offered as a 1 day class. The techniques taught in "Graceful Trees" are demonstrated in this workshop. To-Be List. If you are ovewhelmed by your To-Do list, it may be time to reprioritize. It's more important who we are called to BE, then what we DO. So what's on your To-Be List? 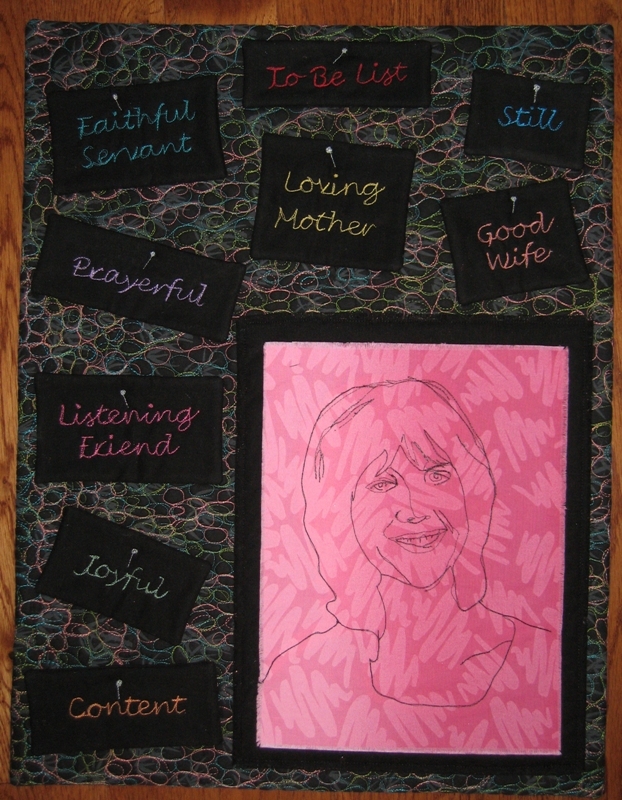 Make this Journal (17" x 22") quilt to help you stay focused on what's important. And, learn some fun new techniques in this 1 day workshop including a textured background, self-protrait and thread writing. With a single stencil, we will use paint, discharge, threadplay, stitch and needle felt to make appliques. This half-day workshop is loads of fun and kicks start the creativity. Whacky Portrait. This 6 hour workshop is loads of fun. The project is constructed with fusible and thus goes fast in the workshop setting. 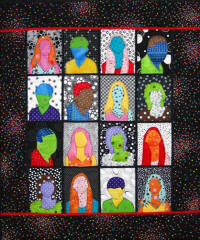 It's a great project for all those whimsical black, whites and brights you have been collecting. If you are interested in having me teach these workshops at your guild, please contact me at lisa@ellisquilts.com. To see work done by students, visit the Student Gallery.